The Infantry immediately started at double quick time from the rear of the column, and were instantly joined by our Company, which with its Guns and Ammunition Cart, rushed into the Village -- The two Companies instantly surrounded the Tavern, where the assailing rebels had taken refuge, and after the passing of one or two pistol shots, (the exact account of which seems to be difficult) the prisoners were secured save one who took flight across a field. He was ordered to stand, but refused to do so, whereupon Lieut. Tower ordered his platoon to fire, which order was promptly obeyed, but the prisoner was not taken, he having succeeded in secreting himself in the dense foliage of a tangled bracken; this scene over, the Col. ordered the remains of the column march into the village. A national salute was then fired by our Company, from the brass pieces, which made the hills and valleys echo with the glad notes of joy -- joy for the triumph of law over misrule, and mobocracy -- joy, for the victory of truth over error--joy, for the safety of our institutions, our lives, our privileges, our kindred and our homes. Brilliant was the spectacle, which old Westminster presented. From the side walk to the house tops, all was life, aye, life in its most attractive forms -- and with boquets [sic] and wreaths, only excelled in beauty by their own personal attractions, they literally smothered the advancing columns. 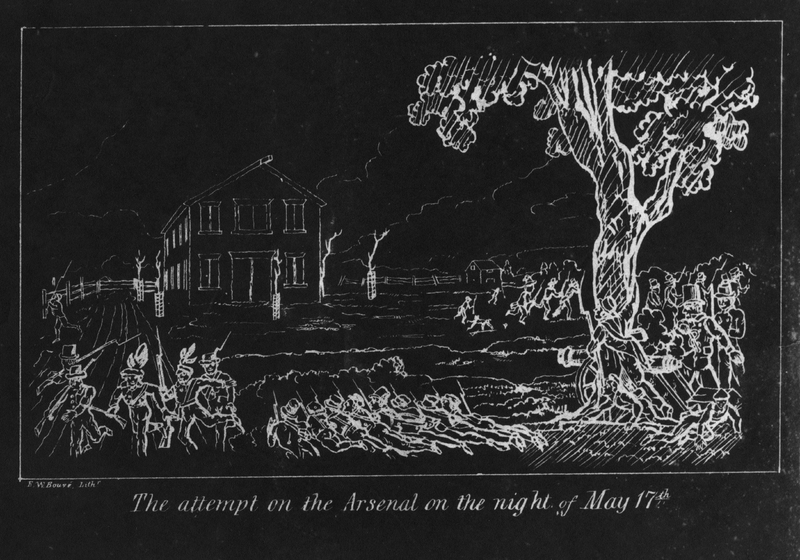 Seizing the Arsenal: Dorrites attempted to seize the state arsenal on the night of 18 May 1842. This drawing depicting that episode is attributed to famed watercolorist Edward Lewis Peckham in 1842. Acote's Hill: Henry Lord, who drew this sketch of the capture of Acote's Hill, was one of those arrested after the General Assembly declared martial law throughout the State on 25 June 1842. 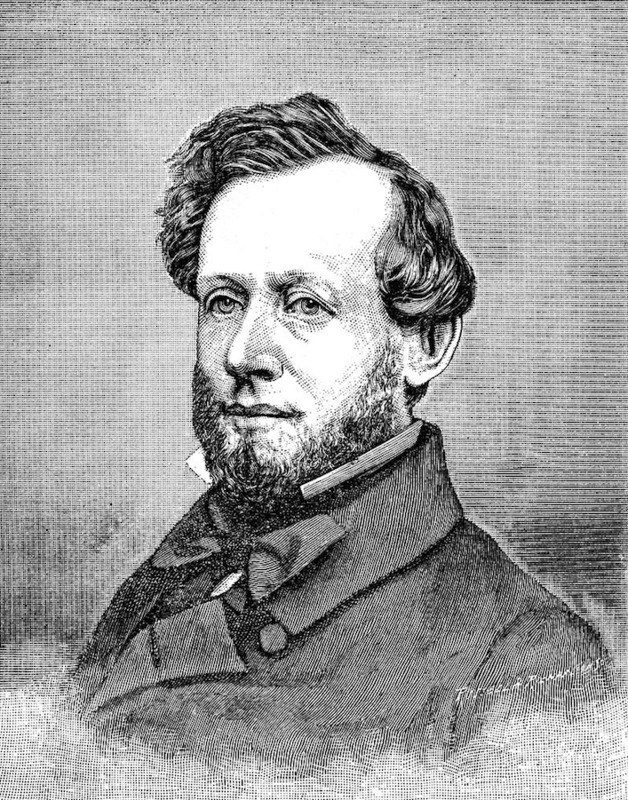 William M. Rodman: William Rodman is pictured here in Welcome Arnold Greene's seminal history of Rhode Island, The Providence Plantations for 250 Years. ~ Source: Greene, Welcome Arnold. The Providence Plantations for Two Hundred and Fifty Years. J.A. & R.A. Reid, 1886. New militias were formed in preparation for Dorr's return to RI on June 25. Many of the names were purposefully menacing: Dorr’s Invincibles, Johnston Savages, Pascoag Ripguts, and Harmonious Reptiles. 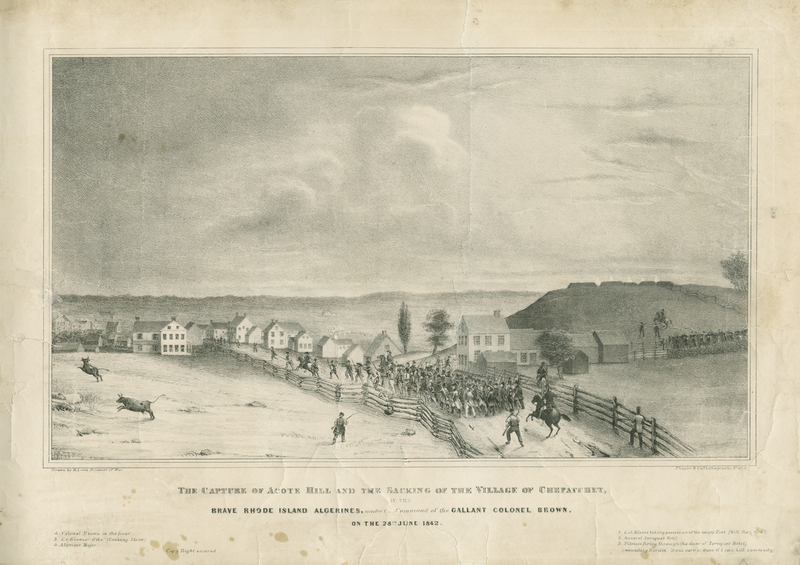 The skirmish at Chepachet was the second major show of force during the Dorr Rebellion. To learn more about the first, Dorr’s attempted takeover of the Providence arsenal, read this epic poem. Elyssa Tardif, “William M. Rodman,” Rhode Tour, accessed April 21, 2019, http://rhodetour.org/items/show/227.